Do you love photography and want to boost your skills as a photographer to include compositing images to create pieces of Art? Why not join me for my Winter Compositing workshop to discover how diverse and creative photography really can be. Why not "Dare to Create"? Using your camera as a tool, this workshop aims to reinvent our definition of photography as art. There is no one "right" way to enjoy photography.. 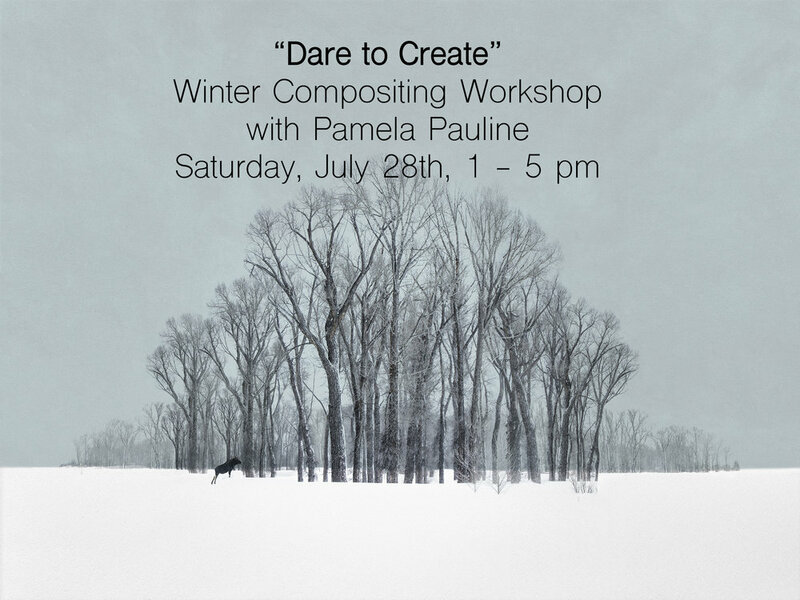 Step out of your comfort zone and join me for an afternoon of creativity where we will be working with layers and textures to create interesting works of art. July 28th, 2018 from 1-5 pm at my Studio in Mona Vale, NSW.